Looking for additional information on this cover. 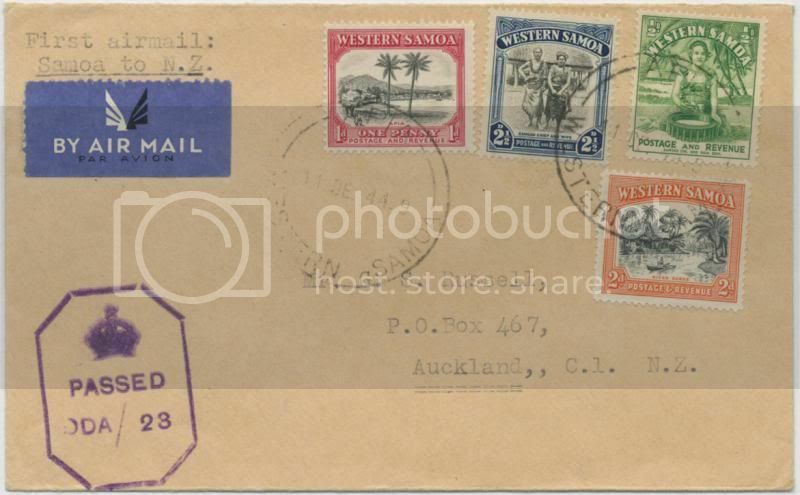 Postmarked APIA 11 DE 44, with an octagonal crown PASSED DDA/23 censor mark. It isn't listed in the 2009 NZ Airmail Catalogue.